At this time of year, deep reds and burgundies come in to play, looking dramatic on their own or combining beautifully with other jeweled shades and metallic. 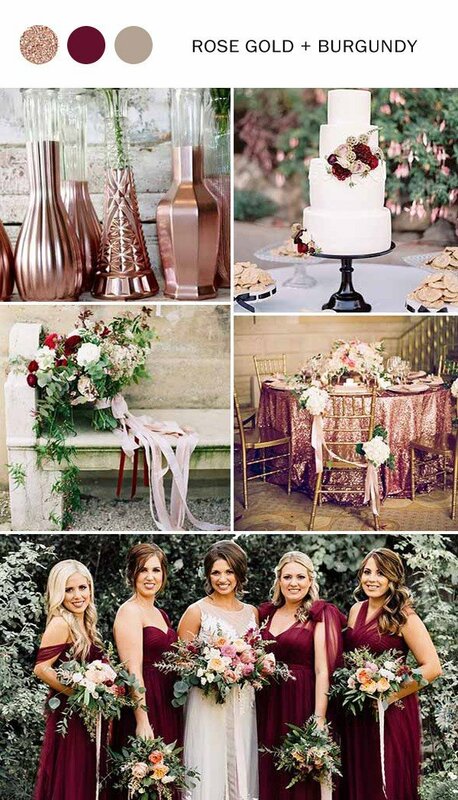 Burgundy is a fantastic color for fall and winter weddings. If you’re exploring a burgundy wedding theme, I hope these ideas will inspire and delight!